Cartoon of my life: Potato, potato! | Amsterdam, baby! 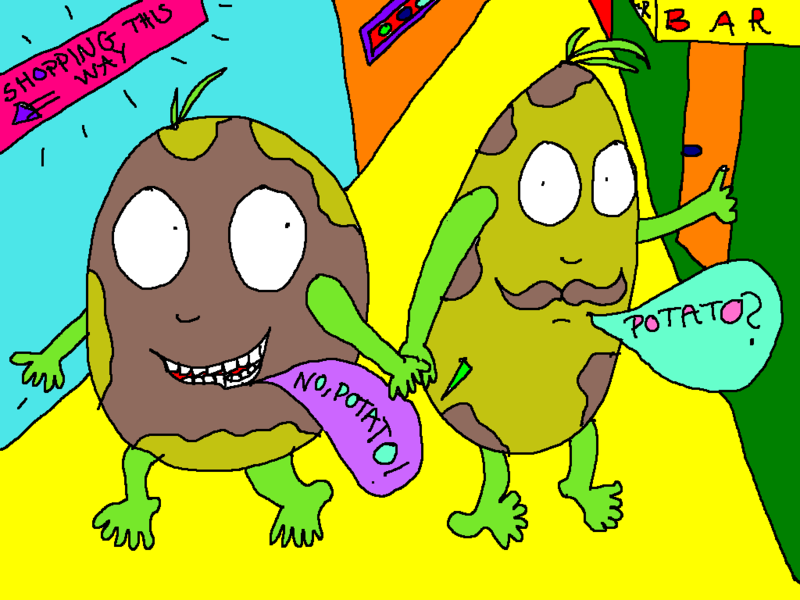 Cartoon of my life: Potato, potato! Tatatadam! And….suddenly I was a potato dragging my hubbay with me to shopping! Wow. Lol. This entry was posted in cartoon of my life and tagged Amsterdam, art, Cartoon, cartoon of my life, colorful, funny, humor, husband, illustration, LOL, norwegian artist, potato, Shopping, spaced out, wife by maypaj. Bookmark the permalink. Thanks! 🙂 I do my best, haha. Glad you like it!